What are the key accounting software features? The best accounting software features that accountants have been found to look for are: automation, core accounting, reporting and analytics, tax management, billing and invoicing, payroll system, mobility and data access, data security, integrations, fixed asset management, and inventory management. These capabilities, when combined, make the most rigorous accounting processes easy and accurate. Have you ever transported inventory data onto your QuickBooks or Excel sheet every time you need to update sales transactions? It’s messy, right? Even if you’re using a system for both processes, this can mean going in and out of two applications, which adds to the already stressful task of capturing your data accurately. Fortunately, today’s accounting systems have inventory built in or natively integrated into the core accounting module. In fact, the ability to capture inventory data seamlessly is one of the favored features accountants look for in an accounting solution, mainly to bypass our scenario above. There are more features accountants value most in an accounting system and we’ll walk you through each of these functions. For instance, common accounting software features that should be in your list include data security, payroll, core accounting, reporting and analytics, and billing and invoicing. By understanding what accountants look for in a system, you can make a more informed comparison of the top accounting solutions you’ll find here. After this reading, you should have an idea of what to look for in such products and be ready to decide on your own what software is right for you. What do accountants value most in accounting software? These, coupled with technology trends in accounting are seen to further boost the benefits of these platforms. 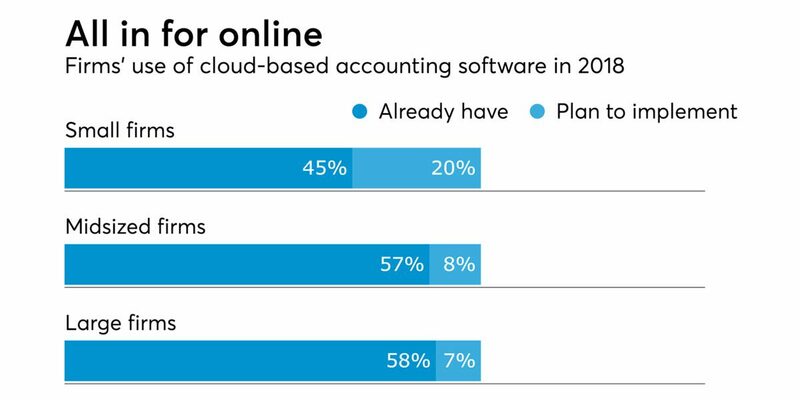 More and more businesses have been turning to accounting tools, specifically cloud-deployed ones to handle their finances as seen below. If you want to check how leading app vendors package these features, you can head straight to our list of leading accounting solutions here. Your financial data is the lifeblood of your accounting work and must thus be safeguarded at all times. Cloud accounting platforms give you a centralized location for all your financial information and offer different levels of data protection for your peace of mind. Data and transactions are encrypted, password protected, and you can set access permission for users. Servers that house your data also normally have redundant power, backup and recovery mechanisms, DDoS attack and Spam protection, and many other security measures. You can always consult the accounting software vendor with regards to their security features and determine how well they work with your own on-site safeguards such as network firewalls and anti-malware. Accounting tools can limit data access as part of security measures. This can be a standalone software or part of an accounting solution. It helps you manage the movement of products to avoid overstocking or outages which can affect your company’s bottom line. The tool enables you to track orders, sales, deliveries, and inventory levels, and even calculate stock depreciation if your business has a low shelf-life product line. It can give you a paperless, spreadsheet-free way of organizing your inventory data which you can upload and store in your cloud data repository. Again, another long list of problems solved through the help of accounting software. We can go on but those above prove the point on the usefulness of the software when it comes to accountants resolving issues, going over numbers, and contributing to the strategic direction of the company they work for. Now let’s look at some of the widely-used accounting software available today. Although most accounting solutions have similar offerings, others stand out from the pack. Here are those that we’ve reviewed and got the top marks. One of the important functions of accounting software is managing your payroll system either as a built-in component or as an external app that you can integrate with your accounting platform. This feature allows you to process employee payrolls, automatically withhold and pay taxes, create legal and tax reports on schedule, and pay employees by transferring funds and salaries to their bank accounts or pay them directly by printing checks. Done manually, accountants know that preparing payroll is a messy, inaccurate, and error-prone process. Accounting software eliminates all that, keeping the process efficient, fast, and free of mistakes. A Small Business Taxation Survey found that one in three small businesses spends more than 80 hours or two full weeks of work each year on federal taxes, which include payroll taxes. With accounting software, payroll processing becomes an easy task and therefore, a problem solved for accountants. Users can link their bank accounts to accounting software. Many accounting solutions offer invoicing functionality. The basic module of all accounting software ensures that you have the figures right and accurate for general ledger, accounts payable, accounts receivable, fixed assets, and bank reconciliation, among others. With an accounting software’s core capability, you are able to track all of your company’s financial and monetary information which will form the financial record and history that will be sought out by management in their everyday operations as well as strategic decision-making. Again, automation will play out in this area not only for redundant tasks like bookkeeping but also for higher level processes like matching transactions on bank statements to those in the general ledger or matching payments to invoices, to mention some. In fact, machine learning is now being applied to automation features by some accounting solutions. This lets you easily manage financial information on company assets and will serve you well if your business has numerous assets in different forms. You’ll be able to track fixed assets for the purpose of financial accounting, preventive maintenance, and theft deterrence. Accounting software keeps you updated and informed of the location, quantity, condition, and depreciation status of your company’s fixed assets as well as the cost of maintaining them. The decision to keep them or dispose of them to preserve a healthy balance sheet can be guided by this feature. From what used to be but financial records keepers, accountants and finance professionals are taking on a new role as overall stewards of corporate data and information, thanks to the robust reporting and analytics tools of accounting software. With today’s challenging business landscape, management is increasingly relying on the finance department and it’s CFO for important financial and corporate data to make information-driven decisions. Accounting software can provide accountants and finance managers with crucial financial insights and accurate financial information, all of which they can report to management for its guidance. Number 3 in the online survey previously mentioned on what accountants enjoy the most – making strategic recommendations for the business – is well addressed with this feature. You can readily view your receivables and payables using accounting solutions. Getting you paid properly and on time impacts your business’ revenues and this can be significantly facilitated by an accounting solution’s billing and invoicing feature. Again through automation, invoice creation can be automatically done based on your custom requirements and sent via email to your customers and clients. A client portal can be created with real-time invoice modification and automatic reflection of amount after instant calculation of taxes. Payment processing can be undertaken either through the online payment capabilities built into the software or through integrations with third-party payment processors or payment gateways. Many accounting applications can let you automate the payment process – from scheduling bank payments to direct deposits and even to printing checks. Automation is the cornerstone of a reliable accounting solution. Every accounting software feature applies some sort of automation to simplify processes, from simple accounting transactions to complex financial activities. Many companies today utilize accounting software to fully automate time sheets and payroll, employee expenses, corporate budgets, purchase requisitions, invoice creation, electronic tax filing, payment scheduling, and many other financial operations. If the issue is solving problems, crunching numbers, and doing the math, automation covers a lot of ground at a much faster pace. If there is one general feature that can answer the question of what do accountants value most in accounting software, it would be automation. Tax regulations change over time and there are several state and federal tax laws that you have to comply and contend with. 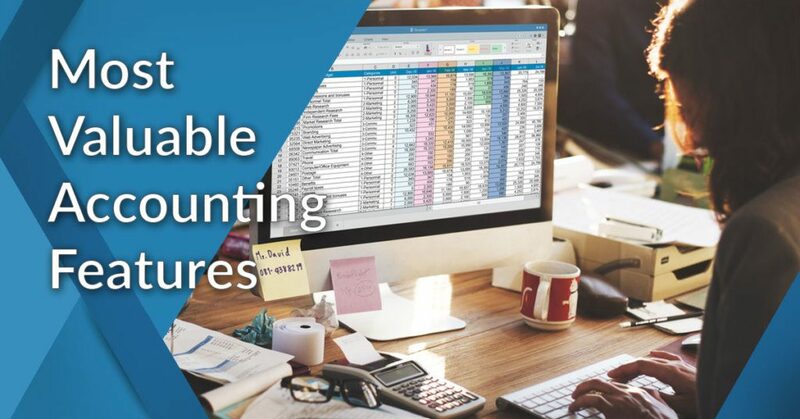 Accounting software can help you manage all those compliance requirements with automatic calculations on tax for sales and payments as well as on withholdings for employee payroll. The software can also provide a database of the most common tax forms, like 1099 and 1096, and through automation put all necessary entries and data for you. You can then file the forms electronically with the IRS. As the software keeps you updated and informed through automatic reminders and sorting everything, the risks of being penalized for late payments are also minimized if not eliminated. Accounting software removes the worry and pressure on businesses when it comes to the accuracy of their financial information and timeliness of their compliance with stringent regulations. Mobile apps are now almost a standard feature of accounting software, especially for cloud-hosted or web-based accounting platforms. What this means is greater flexibility, giving you the freedom to work and access your financial data on the cloud anytime, anywhere with your mobile device. This also enhances work collaboration; opens lines of communication with clients, vendors and suppliers, and management; keeps you updated on the go with important work reminders and notifications; and informs you of scheduled tasks and activities. Accounting software is flexible and extensible with its integration capability. The platform is designed to work with third-party business and productivity apps and services such as payment gateways, sales software, CRMs, business intelligence systems, project management tools, and many others. This capability translates to you being able to work on a host of tasks without ever leaving the dashboard of your accounting platform. Integration affords you greater efficiency compared to when you have to open different apps for various tasks. Cloud-based accounting solution FreshBooks is designed to cater to small businesses. It effectively streamlines time tracking and invoicing. This feature-rich solution is a cost-effective tool especially for small- to medium-size businesses as it is marketed under flexible plans. Freelancers are also bound to benefit from the product, helping them make the most out of their sales and collection processes. FreshBooks’ branding capability ensures that all financial documents are customized to your liking, able to change document logos, design, and colors, making them more professional-looking. You can easily sign up for a free FreshBooks trial here. With FreshBooks, you get to enjoy financial management because the system does practically everything for you from invoice creation to time tracking to customer follow-ups. It also has online payment processing features that help users collect payments more quickly. The platform can be accessed from anywhere at any given time as it comes with mobile applications that support both Android and iOS devices. Integrations with popular apps include PayPal, Stripe, and Shopify, meanwhile, provides more functionalities to the software. Online accounting tool Sage 50cloud was developed for SMBs, helping them handle accounting processes like invoicing, budgeting and tax preparation, among many others. But these are not all, you also get to enjoy additional functionalities, including payroll and credit card processing. The solution was initially made for desktop computers but has since been imbued with cloud features so that you can store and access your data anytime, anywhere. You can also make mobile payments and bank feeds, thanks to the app’s expense management features. Receipts and sales are recorded by the software in real time while allowing you to handle payments and bill clients even while on the field. The solution also provides insights into both revenue and budget trends, pointing out KPIs, which are useful in making data-driven decisions. You can find out for yourself all the features that the tool offers if you sign up for a free Sage 50cloud trial here. Accounting platform Zoho Books was developed with growing businesses in mind. It is an easy-to-use software that helps SMBs in financial management. The platform is not only intuitive, it also allows you to make sound business decisions. It comes with numerous features that are guaranteed to make an easy task of your accounting processes. The system is capable of generating invoices for your clients while being able to process payments online, helping you get on top of your finances and make savings at the same time. The vendor offers a comprehensive free trial to get you up to speed with the features. You can sign up for the Zoho Books free trial here. Using the solution is quite easy as it does not carry a steep learning curve. It sports a sleek dashboard from which all the needed tools, graphs, and financial overviews can be accessed quickly. All accounting tasks are streamlined by the system, which also keeps all your transactions organized regardless of their type. Your customers also stand to benefit from the product as it allows them to make payments online and shop from virtually anywhere at any time. Individual project finances can be managed using the platform, with users being able to assign tasks and keep track of activities from any device. Cloud-based accounting platform FreeAgent is a feature-laden tool targeted at SMBs and freelancers. Its financial management capabilities have made it the tool of choice for thousands of businesses. Using the software, you can keep a handle on all your financial management processes, including invoices and estimates, taxes, cash flows, and expenses. Its multitude of features and specialized tools allow you to derive insights, which can give you an idea as to how your organization is faring. You can use all the features for free for a period of time to see if the software matches your needs. Simply sign up for a FreeAgent free trial here. Working with invoices is a breeze with the system, which enables you to generate, send out and track the same. You can even monitor your spendings, all that is needed is to upload an image of your receipt to the platform. You may also link the system to your bank accounts so that it automatically imports all your transactions. The solution supports over 750 Zapier add-ons and integrates seamlessly with numerous third-party applications and services. However, its most striking feature lies in its dashboard, which grants you a total view of your organization’s cash flows, profitability, income, and receivables. Online HR management platform Gusto is essentially a payroll, HR and accounting tool rolled into one. This robust system is feature-rich and comes with tools that are meant to provide you with full automation capabilities. It is targeted at small players, allowing them to automate the process of computation, payment and submission of payroll taxes. You get to choose from two payment options with the system–check or bank deposits. Because Gusto is designed to automate all your payroll processes, all you have to do is set up and schedule all your payments and the software do the rest. This allows for accurate and timely employee payment as mistakes are minimized due to less human intervention. The product likewise sends out digital stubs through email thereby reducing the use of paper. It even allows your employees to make charitable donations by letting them set up accounts. Lastly, the solution greatly aids in bookkeeping so that you won’t have to go through the tedious process of manual data entry. If you want to know more about the features you can easily sign up for a Gusto free trial here. Accounting solution Xero is another popular name in the category, largely due to its ease-of-use, providing users with undeniably great experience. It has the ability to simplify the most daunting accounting tasks such as double bookkeeping even for novices. Setup is quite easy as the software comes with an Express Setup feature. And if ever you require a bookkeeper, certified advisors are on standby to provide you with the assistance you need. The tool has become popular among many companies in the US, Australia, UK, and Europe. The product integrates with popular accounting tools and third-party apps. Accounting software designed to cater to SMBs and freelancers, Quickbooks Online is known for making simple even the most tedious of accounting tasks. It has become the go-to tool for many organizations, bookkeepers and finance officers. The software is capable of syncing business profiles automatically through a single console, which can likewise be accessed by other relevant users. You can readily view documents generated by the system, including invoices, profit and loss reports, and billing from just about any device. If you need to create custom feeds and reports, you can do so straight from the dashboard. The system seamlessly integrates with third-party apps such as Intuit GoPayment and Quickbooks Online Payroll. Identify target businesses. You can look for the ideal accounting solution by determining the industries that specific products are meant to serve. The ones that are suited to your sector are most often than not, ideal candidates as these industry-specific accounting platforms are designed to cater to organizations like yours. Read user reviews. Learning from other businesses’ experiences with these platforms is also a great way to evaluate a tool.  You can find user reviews that are easily available online. From these, you will have an idea if a software solution is right for you. Go for free trials. There are a lot of software vendors out there who offer free trials of their product, without you having to spend a dime. Availing yourself of free software trials is a surefire way of getting to know a product, not just what the features are, but how they fit into your workflow. You can start with our top choice here, FreshBooks, given its powerful functionalities and overall value for money. If you want to experience the app’s features firsthand, you can easily sign up for a free FreshBooks trial here.